A great marina in a great location. A quick dingy ride, or a good walk, into town. We had a perfect slip. The marina was very accommodating. We will be back. I’ve stayed here a few times while cruising. One of my favorite layovers. Helpful and pleasant staff. It’s a short hike to Mystic town center and easy dinghy ride to Mystic Seaport. The ambiance is as nautical as you’ll get. Facilities are getting dated and need refurbishing, but I’m don’t need a resort when cruising. Showers are hot with good pressure. That’s my main criterion for a good marina as a transient sailor. We appreciate this great review and feedback. Good showers are a must, as is having a helpful team. Please come back and see us again next time you are cruising in the area! It’s our favorite stop! Sue, Ned, Beca & Genna could not be nicer. We came to look at a boat that unfortunately we decided wasn’t for us. Jimmy your Broker loaned us his personal vehicle to get a part we needed from West Marine. We had a mechanical problem your service dept, Ned himself, came on board and corrected what needed to be done. Your Mystic Marina should be an example of Everything your yards Should Be! Wow! We appreciate this awesome review and love that we are your "favorite stop!" It's always a pleasure seeing you, and we are happy to help out. Hope to see you again soon. Always a wonderful time at Mystic Brewers! Dock hands helpful, gorgeous pool, fun town to dingy to. Not a 5 star, 10! Thank you very much for this awesome review. We would gladly take all 10 of your stars :) We always enjoy having you here at Mystic, and we sincerely appreciate your business. See you next trip! We love coming to Mystic Yacht Yard. Our only complaint is the bathrooms were not really very clean. Mold in the restrooms in office building & really no need for that if bleached properly. Jacuzzi wasn't working. Otherwise great. We'll be back! T & C Baker. Hello Bakers! Thank you for coming back to Mystic. We apologize that the jacuzzi was not working during your visit. It was fixed within 24 hours and will be calling your name next trip! We also appreciate your feedback on the bathrooms. We are now working with a new cleaning service which will resolve the issues you mentioned. Looking forward to seeing you again soon! Overall a nice place with floating docks which is always a plus. Helpful and friendly staff. 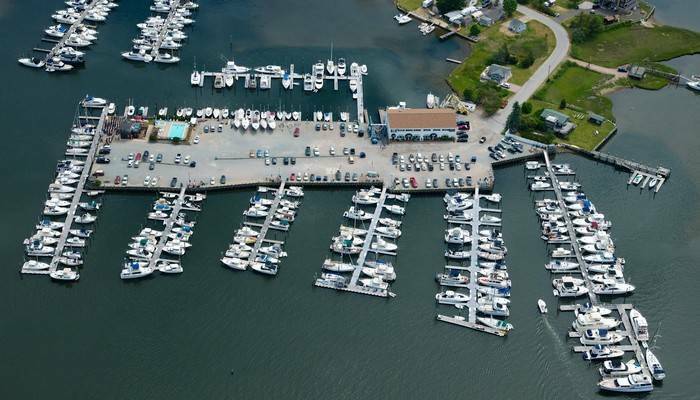 Areas for improvement are: Spa (hot tub) heater not working, baths could be updated and the usual crazy expensive fuel costs you find at a Safe Harbor marina. 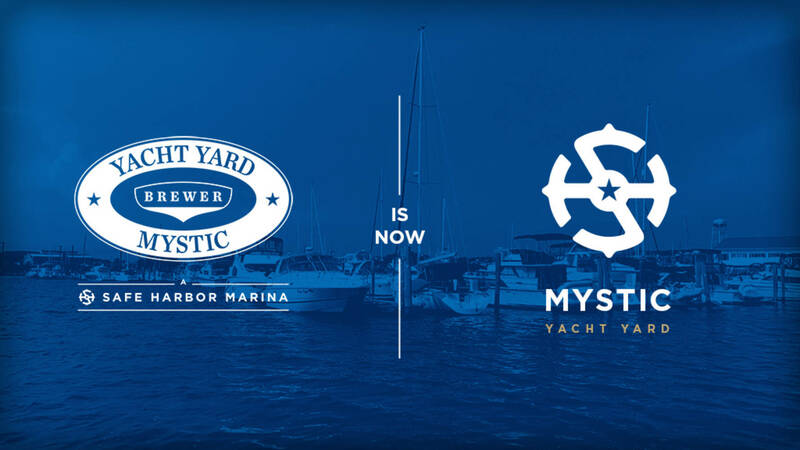 Thank you for visiting Mystic Yacht Yard, and thank you for the feedback. We apologize that the hot tub heater was not working during your visit. It was fixed within 24 hours and will be ready for you next time you visit! We also hope that you will find our restrooms in better condition on your next visit as we have a new cleaning service in place. Thanks again for staying with us. Our favorite place to visit! Wonderful location, facilities and staff. Sue was awesome getting us a slip and we had a great time. We love hearing that we are your favorite place to visit! It is a pleasure having you here at Mystic Yacht Yard, and we are always happy to help. Looking forward to your next visit. Happy boating! Beautiful marina and helpful staff. Great location in terms of access to seaport and town. Nice facility, friendly, helpful staff. Great location. Heads and showers could use some updating. We appreciate your five-star review and thank you for choosing Mystic Yacht Yard. Your feedback about the heads and showers is also appreciated. Hope to see you again soon! They or so friendly and accomadating. Well run Brewer! And what's not to like about Mystic. Thanks for your great review and recommendation! Hope to see you again at Mystic Yacht Yard. Thanks for the great review, and the pleasure was all ours! See you next visit. It was a pleasure having you all at Mystic! We are so glad to hear that you had a great time and enjoyed our team and facilities. We sincerely appreciate you choosing Mystic Yacht Yard and hope to see your Albin group again next year. Happy boating! A really nice marina with very friendly staff. Sue was very helpful with a mechanical problem! Thank You Sue! One of our special places to go! Love reading this review! Thank you so much for your kind words and for choosing Mystic. Excited to see you next trip. Until then, happy boating! The marina staff was very accommodating. Prior to our arrival, our air conditioning unit stopped working. We inquired about a mechanic and they were ready to send one down to the boat to check it out right away. Knowing the engines were hot from traveling, we said we would wait until morning. The mechanic arrived at our boat first thing in the morning. Fantastic customer service! Thank you for taking the time to leave us this great review! 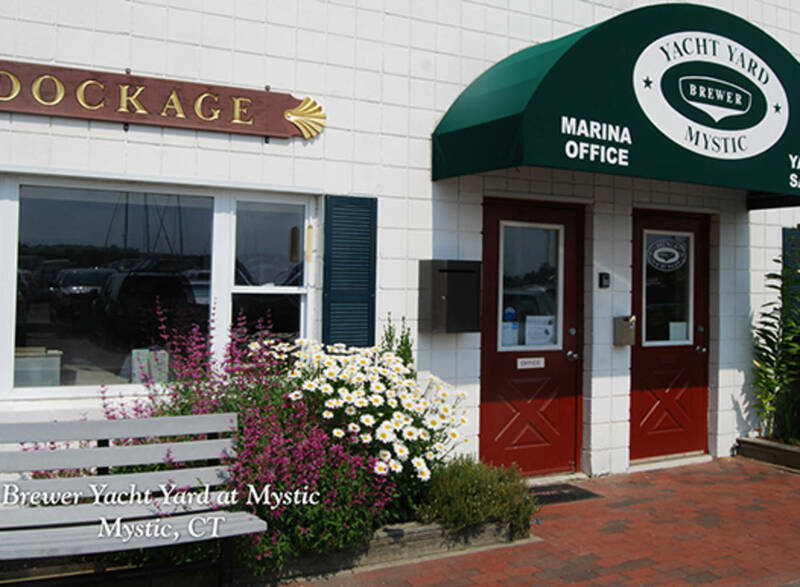 It was our pleasure helping you with the air conditioning, and we enjoyed having you at Mystic Yacht Yard. We appreciate your business and hope to see you again soon! Keep enjoying your summer! Our dockage was A19 and the view was stellar and the breeze and the air quality was excellent. The dock hands were very helpful and the facilities of the marina were well tended to and clean. The pool is also well tended with water appearing clean and clear. Plenty of seating. All and all this marina is one of the better ones. Thank you so much for this excellent review! We are very happy to hear that you enjoyed the marina and facilities. The breeze out on A dock is fantastic; the perfect spot to relax aboard your boat and soak in the joys of summer. Please come back and see us again soon! Very helpful staff, nice location and clean facilities. Nice and quiet after spending a couple of fun but "lively" days at Block Island. The docks are beginning to show signs of age, but the new sheet piling was a big effort for the marina. We will definitely return. We appreciate your nice review and thank you for staying with us at Mystic Yacht Yard. It sounds like you had a relaxing visit, and we are happy to hear that you enjoyed the staff, location and facilities. We look forward to your return! The fuel dock attendant was OUTSTANDING, best service in 11 years of boating, absolutely perfect customer service. Wow! This makes us so happy to read! Thank you very much for your review and for choosing Mystic Yacht Yard. We sincerely hope to see you again soon. Happy boating!! Had agreat time though weather could of been better. Staff met us and helped tying up lines. Got a great slip right where i wanted it. Wifi and cable worked great. Thank you for the review and for choosing Mystic Yacht Yard. We are happy to hear that you enjoyed your stay, the staff and some of our amenities. Please come back and stay with us again soon so we can try to earn your last star. Happy boating! Thank you for taking the time to leave this great review, and thank you for choosing to stay at Mystic Yacht Yard. It was our pleasure to assist you, and we sincerely hope you will visit us again. See you soon! Jenny helped us dock and get oriented. Thank you for the great review and for visiting our marina. Please come again soon! Thanks for the awesome review! We are so happy to hear that you enjoyed your stay with us, and we welcome you back anytime. Hope to see you soon. Take care! 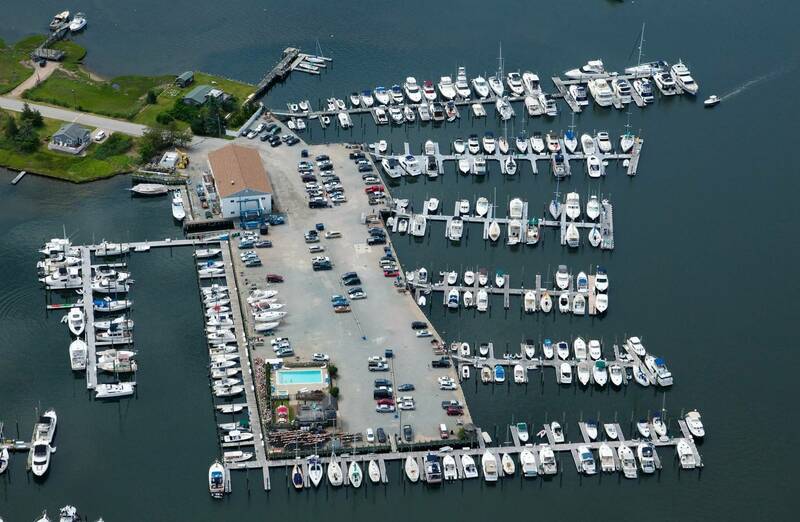 Brewers Mystic is well located and a very nice marina. Sue went above and beyond to support my reservation efforts while I was having numerous problems getting registered with Dockwa. She also was instrumental in getting me forward looking reservations as well . . all very much appreciated. We sincerely appreciate the 5 stars, and we are very happy to hear your feedback. Sue is a great asset to the marina, and we all look forward to seeing you again soon! Nice marina and location. The staff was friendly and helpful. I can't comment on the facilities or neighboring area since our stay was a quick overnight. Very friendly staff and all the people we meet here were friendly and went out of their way to welcome us! Using Dockwa was fast and easy. I was very impressed. Helpful staff, good location, 10 minute walk to town but you don't have to go under the bridges. Wifi, nice pool. Fully working cable TV, not many marinas still have that. This is a great marina with a wonderful staff. It is a beautiful spot located before the bridges, and a short dinghy will put you in the center of downtown Mystic. The marina;s amenities include a pool, Jacuzzi and a laundry. I have been here many times and always look forward to my next visit! Brewers yacht yard at Mystic is always a pleasure!! Very clean restrooms and pool area, and the location is superb to enjoy the mystic town area without waiting for the drawbridge to access. Love it here! the dock crew @ Brewer's are the best! Great marina - great staff - looking forward to coming back! Nice marina and facilities. Clean. Close to town. Will come back in the future. Dockhand (Evin, I think) very friendly and helpful. Stayed for one night. The kid at the fuel dock was very helpful in assisting us getting into the slip. The showers and restrooms are small and not very clean. The grills are clean. The pool is very nice. Walking distance to town. We always enjoy staying at Brewers Mystic but this time there was no WiFi available. The router appeared from time to time but we could not connect with any of our devices from the boat. It worked just outside the office. As always, great marina..very clean...plenty of things to do and see in the area and great food!! Wonderful place, slip assignment great, restrooms clean, great walk to town. Love the dinghy ride to seaport and out toward Mason Island. Return trip visit with grandchildren was excellent and we did use the pool a lot, they had a fabulous time. Our grand daughter out grew her goggles and handed two pair to a couple of younger girls to use at pool as she received a new pair thanks to short walk to CVS. 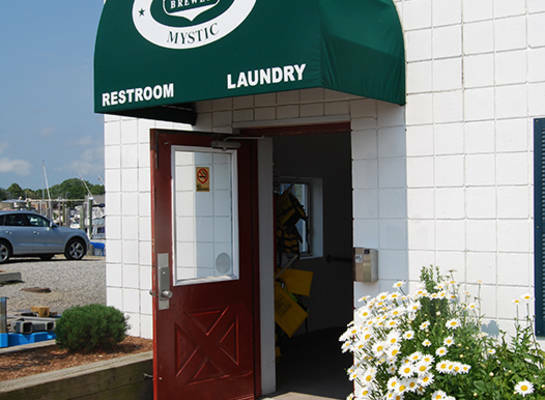 Mystic staff always pleasant and yard always clean. Arrived and found out that I had a serious transmission leak. Talked to the service department, they looked at it right away and found the problem. Minor issue, the pressure switch was leaking. They fixed it the next day so we could continue with our vacation. The second time I've been here, would come again. Love the pool after a hot day sailing. Just a short walk to town. Good location. Nice marina with efficient and helpful dockhands. Facilities were adequate and clean and the kids enjoyed the pool! The marina was clean and we had a nice slip but unfortunately there were loud transients docked across from us whose cockpit festivities went well into the am hours. The dock staff were very kind, competent, and attentive. They were waiting for our arrival and extremely easy to communicate with. We will definitely return. The docks were in excellent condition and looked brand new. The water and power hook-ups were also ready and waiting for us. In addition, the walk to downtown Mystic was not long at all and in fact quite enjoyable. Friendly & helpful staff. Facilities are clean and well kept. Easy walk or bike ride to town. Brewer Mystic continues to be our favorite place to visit. Beautiful setting. Friendliest staff around. Easy walk or dinghy ride to restaurants and town. 5 stars are not enough! Very friendly, experienced, and helpful staff. Nice facilities, close to town. Fabulous staff, super friendly. Would have been nice to know about no availability of diesel ahead of time. Bathrooms are very clean and nice shower. 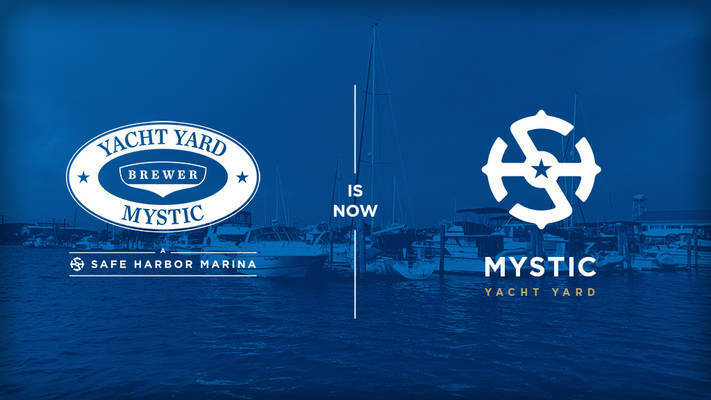 Previously known as a Brewer Yacht Yard facility, Mystic Yacht Yard is now proudly owned and operated by Safe Harbor Marinas after the two companies merged in 2017. 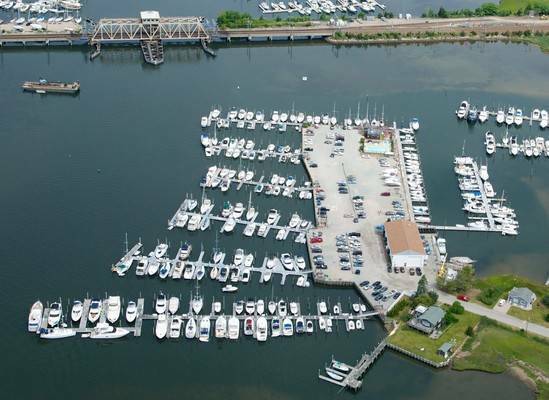 Mystic Yacht Yard is located on the charming and historic Mystic River, just south of both bridges in a secure, protected spot, which eliminates the hassle of docking. We are only 15 minutes from Long Island Sound, with some of the best boating and fishing that the area has to offer. Also, we are only minutes away from some of the finest tourist attractions in Southeastern Connecticut, such as the Mystic Aquarium and Institute for Exploration, the Mystic Seaport, and the Denison Pequotsepos Nature Center. There really is no better place to spend your vacation than in Mystic—where the past meets the present, and history comes alive. 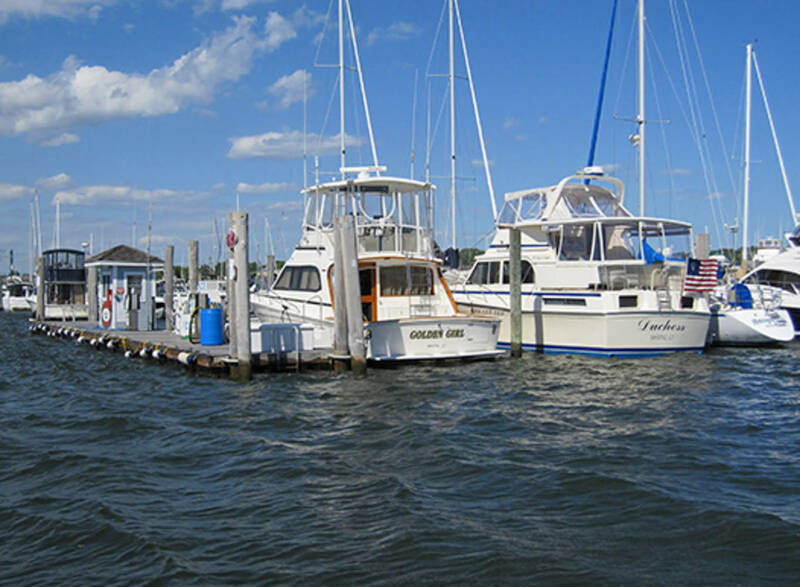 With our personalized service, skilled craftsmen, friendly professional staff, first class amenities and neighborly atmosphere, Mystic Yacht Yard is your complete yachting destination.